Duke said the new plant would be served by the proposed natural gas pipeline, named the Sabal Trail project, that planners hope to stretch from Alabama to Central Florida. The project is a joint venture of Spectra Energy Corp. and NextEra Energy, Inc., the parent company of Florida Power & Light. 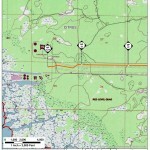 Duke’s proposed plant would tap natural gas to be brought into Florida by a pipeline proposed by Spectra Energy Corp. and NextEra Energy Inc., the parent company of Florida Power & Light Co.
Slated to begin operation in 2017 as the state’s third major pipeline that imports natural gas, the longest leg would have the capacity to carry 1 billion cubic feet of gas daily and would extend 474 miles from Alabama to just south of Orlando in Osceola County. Duke’s proposed plant would use nearly a third of that volume. The utility also wants to build a pair of generators at its Suwannee site near Live Oak to replace a trio of 60-year-old units. The new machines would produce 320 megawatts for periods of peak power demand. 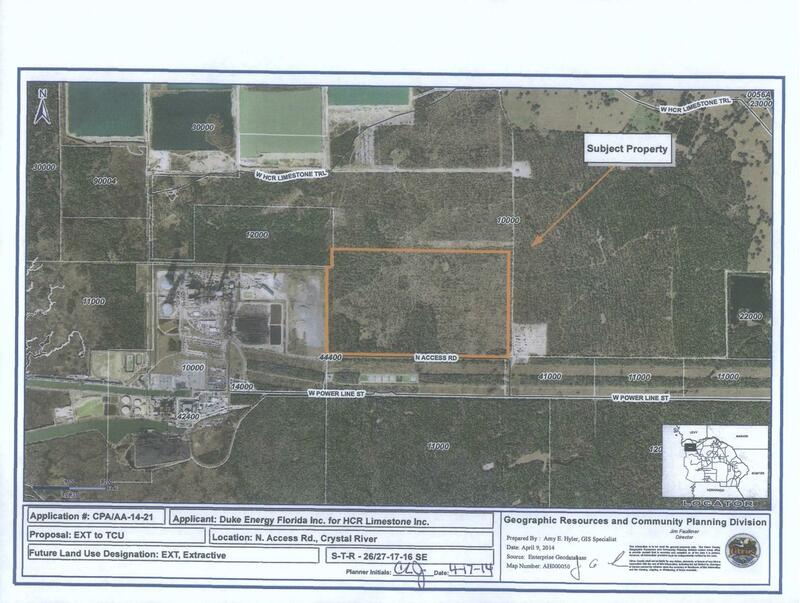 Also proposed is a 220-megawatt upgrade of natural gas plants at Duke’s Hines Energy Complex near Bartow. The new 1,640-megawatt plant would be built on 400 acres of land adjacent to the company’s Crystal River complex and would start producing electricity in 2018. The two coal-fired units, which also are at Crystal River, are expected to be shut down that same year. Utilities in Florida and other states have increasingly shifted to cleaner-burning natural gas in recent years while moving away from coal plants. Duke said the new plant would be served by a proposed natural-gas pipeline that is expected to stretch from Alabama to Central Florida. That pipeline, known as the Sabal Trail project, is a joint venture of Spectra Energy Corp. and NextEra Energy, Inc., the parent company of Florida Power & Light. “We are making these investments to continue providing our customers with the most cost-effective energy solutions and highest level of reliability with limited environmental impact,” Alex Glenn, Duke’s state president in Florida, said in a prepared statement Tuesday. The plan is subject to approval from the Florida Public Service Commission, and Duke said it expects to file a formal proposal May 27. Also part of the filings will be proposed changes at Duke facilities in Suwannee County and Polk County. At Suwannee County, Duke will propose a $197 million project to build two new generators to help meet electricity needs at times of peak demand. The project, with a total generation of 320 megawatts, would replace three 1950s-era plants. Meanwhile, at Duke’s Hines Energy Complex near Bartow, the utility would undertake a $160 million upgrade project that would expand the generating capacity of the plant. And here is Duke’s own Project Overview of its Proposed New Combined-Cycle Natural Gas Plant in Citrus County, Fla. The project requires approval from various local, state and federal governing bodies and regulatory agencies. The Florida Public Service Commission will review the need for the proposed Citrus County combined-cycle plant. The project also requires land use approval from Citrus County government and certification under Florida’s Power Plant Siting Act (PPSA). This act provides a consolidated permitting process that incorporates applicable local, state and regional permitting requirements. 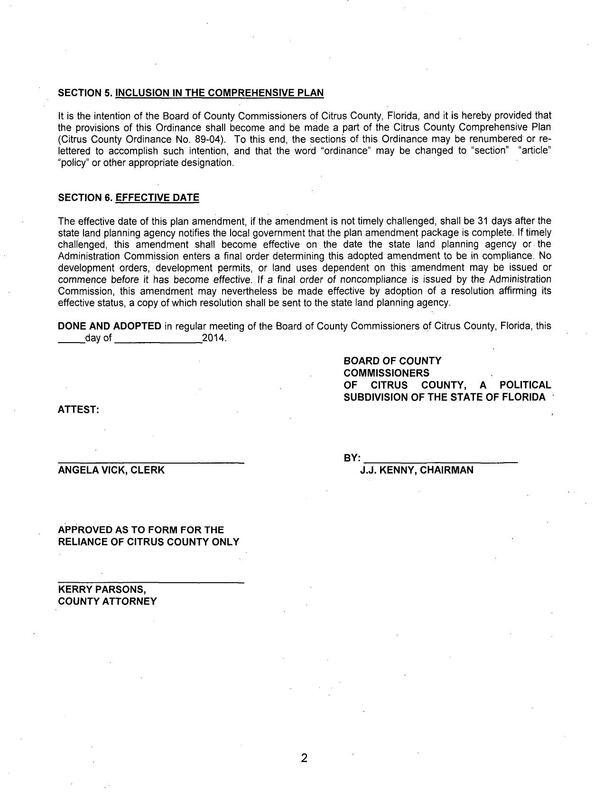 It could be interesting to look on the Citrus County Commissioners‘ online agendas. Set a Public Hearing on June 10, 2014 at 5:15 p.m. to review and discuss for transmittal to the State Land Planning Agency for CPA/AA-14-21, Duke Energy Florida, Inc. for HCR Limestone, Inc; a proposed amendment request to amend the Generalized Future Land Use Map (GFLUM) of the Citrus County Comprehensive Plan, and to amend the Land Use Atlas Map (LUAM) of the Land Development Code. Re—designation from EXT, Extractive District to TCU, Transportation, Communication, Utilities District. The effective date of this plan amendment, if the amendment is not timely challenged, shall be 31 days after the state land planning agency notifies the local government that the plan amendment package is complete. If timely challenged, this amendment shall become effective on the date the state land planning agency or the Administrative Commission enters a final order determining this adopted amendment to be in compliance. No development orders, development permits, or land uses dependent on this amendment may be issued or commence before it has become effective. If a final order of noncompliance is issued by the Administrative Commission, this amendment may nevertheless be made effective by adoption of a resolution affirming its effective status, a copy of which resolution shall be sent to the state land planning agency. 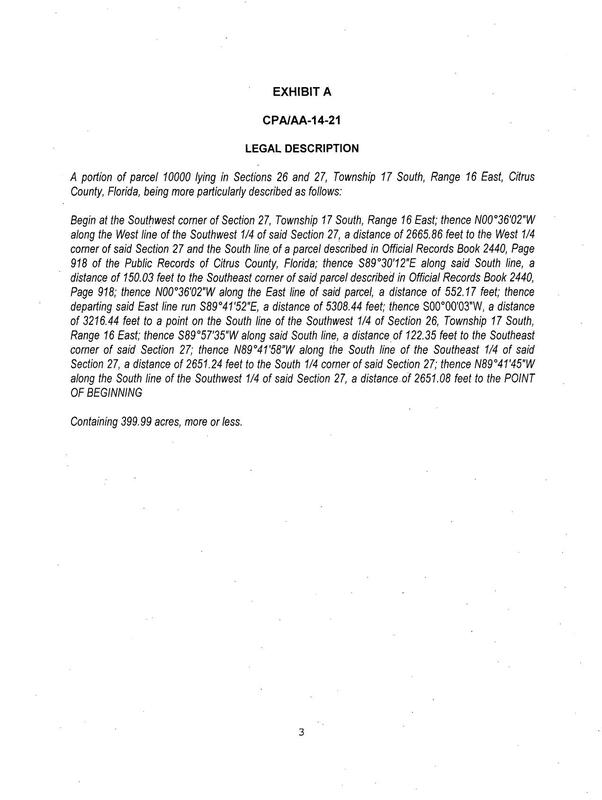 That sounds like the “land use approval from Citrus County government and certification under Florida’s Power Plant Siting Act (PPSA)” that Duke referenced. 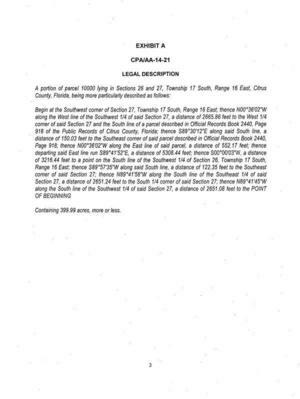 Which is next to 15760 W Power Line St, Crystal River, FL 34428, also known as Crystal River Nuclear Power Plant; see Citrus County Property Appraiser, or you can clearly see it in the subject property map. 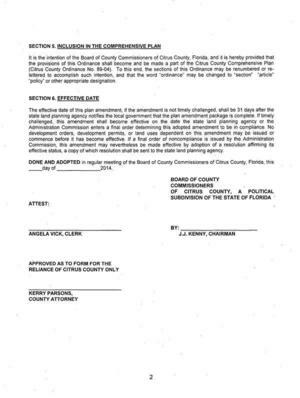 That Citrus County Public Hearing on June 10th could be worth attending.